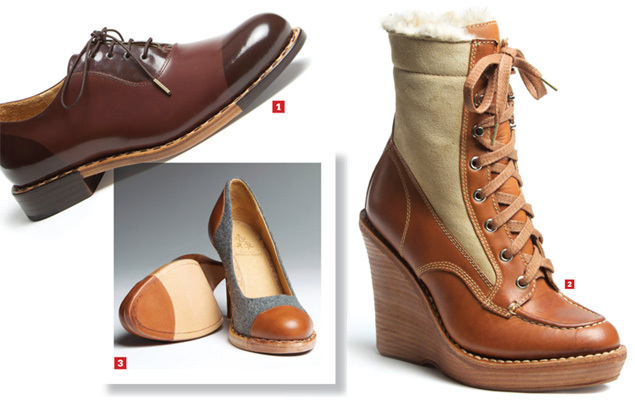 Check out the latest and greatest in the local shoe scene, brought to you by yours truly, as published in our November issue of D Magazine. They don’t make shoes like they used to, but Angela Scott does. Inspired by the memories of her grandfather’s tailored suits, bow ties, and bespoke shoes, she has brought bench-made footwear back to life for women. Each shoe is stitched together by a cobbler’s hand from start to finish, from shoe last (the upper shoe) to the leather-stacked heel (created for durability). Each pair’s construction requires at least five days of shaping on a last and then two days of construction. But these aren’t your grandmother’s shoes. The fall collection, designed with fashionable working women in mind, includes six masculine silhouettes with edgy, feminine twists as a throwback to the Kennedy era. You’ll find rich fabric combinations and colors, such as wool pumps with tan leather toecaps, burgundy lace-up wedge booties, cherry-colored oxfords, and charcoal-hued high heel saddle shoes—all made to last a lifetime. Check out her style blog at theofficeofangelascott.tumblr.com, and find the Office of Angela Scott collection priced between $480 and $825 at V.O.D. Alexis Hefley spotted these hair-on-hide shoes (above) in a Ugandan market during a visit with her Dallas-based charity, Empower African Children. They were a hit back home, too, so she helped rebrand the shoe line, now called Uwezo (ooh-WAY-zo), and came up with a business plan to bring them to the States and send a portion of sales back to Ugandan children. 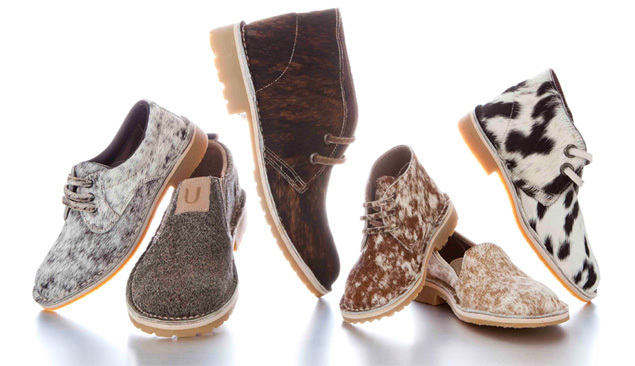 This month, Macy’s will debut the men’s slip-on and desert boot in select stores nationwide and online. They sell for $140. Find the rest of the collection (including women’s) online at uwezobrands.com. Ladies, Do You Have Big Feet?